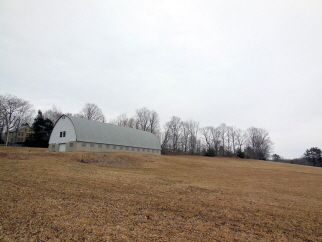 238 ACRE FARM IN PETERSHAM! Fantastic opportunity to own over 238 ACRES on Chimney Hill in historic Petersham! Over 30 acres of hayfields, brooks, bridges, and serene woodlands. A picturesque 36x108 barn with gambrel roof trusses, 3 garage doors, and includes a 24x24 milk room. The barn has electricity, 6 stalls, a deep well, and an older septic system. Over 5200 feet of frontage on East St and Quaker Rd.